Fountain Road Hall has recently undergone extensive refurbishment to add new toilets, a new kitchen and other up-to-date facilities. Many grant awarding bodies have helped fund the upgrading of the hall, but the congregation itself has also raised many funds to help with the project. 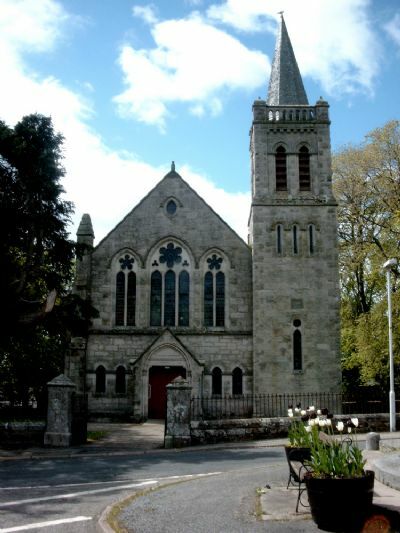 Golspie does not have a village hall, so the hall serves as an increasingly busy community venue as well as the venue for many of our church family’s activities. Built in 1906 as the place of worship for the local congregation of the United Free Church, the Fountain Road Church Hall now serves as the hall for the congregation of St Andrew’s Church of Scotland. During March of 1936 the congregations of St. Andrew’s Church of Scotland and Fountain Road United Free Church unanimously agreed to unite on a broad principle and services were held in both churches on alternate weeks. Both buildings continued to be used for worship for a number of years. However, in 1968 it was decided to sell the pews and pulpit from the Fountain Road Church and use it thereafter as a hall. Over the years the Fountain Road Church Hall has been used by many different bodies: Boy’s Brigade, Youth Clubs, Davy Duff Tape Service, Golspie Scout Group, Badminton, Highland Dancing, Country Dancing and various Choirs. The hall is used as much today as it ever has been, if not more so! Most days of the week various groups are booked to use the hall for meetings, events, club meetings, elections, dancing classes, concerts, soup and sweet lunches, Burns Suppers, wedding receptions and much, much more!